Architect and General Contractor: Barry Shaw & Associates, Inc.
Our design + construction services have commenced in the NW region of Colorado, about twenty minutes East of active and artful Boulder and forty minutes from culture and sports oriented Denver. 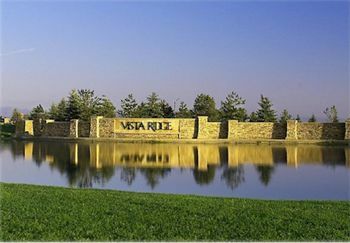 The five star Subdivision of Vista Ridge is the location of the site/Project and its premier location on the greenbelt of the Colorado National Golf Course with Crystal Clear Skies, Rocky Mountain view and abundance of manicured landscaping, providing the backdrop for this Home’s design Program to maximize use and optimize space, in an open floor plan concept. New kitchen with state of the art equipment including: Convection Double Wall Oven with cobalt blue interior and satin glide roll out racks; brand new Bosch Dishwasher design withHigh-efficiency energy star rating and super quiet 42 dBA (quietest dishwasher brand in the U.S.); Thermador cook-top with the most powerful burner system in it’s class and Architect Series II Refrigerator/Freezer with double evaporators utilizing an ethylene absorption cartridge to achieve long lasting fresh food quality; solid surface countertop; laquer matte finish cabinetry with elongated stainless steel hardware and Ginger stained solid wood floors. New Laundry Room with LG washer/dryer voted 2014 Most Efficient design set by the EPA, containing ultra-large capacities, steam fresh cycle and Allergiene sensitive wash program, along with extra deep upper and lower cabinet storage and extended countertop space. Built-in Entertainment Center with wine/beer refrigerator having (22) wine bottle capacity and three temperature zone settings; additional red wine storage; a/v hidden in cabinetry; 20” deep art book-case and natural stone top; all accessible just three feet away from 40’ long outdoor viewing deck. Finish upgrades inclusive of: additional ¾” solid hardwood floors; plaster walls and custom paint finishes; base, crown and door moldings along with solid wood surrounds in window box-outs;ceiling step-downs and wall niches; halogen low voltage lighting on dimmers; fireplaces in Family Room and Master Bedroom faced with stone detailing and wood mantel made from local carver; garage storage cabinets with roll-out shelves, coat closet and shoe stack and new stair detailing with cherry rails, elegant box newels and iron balusters. 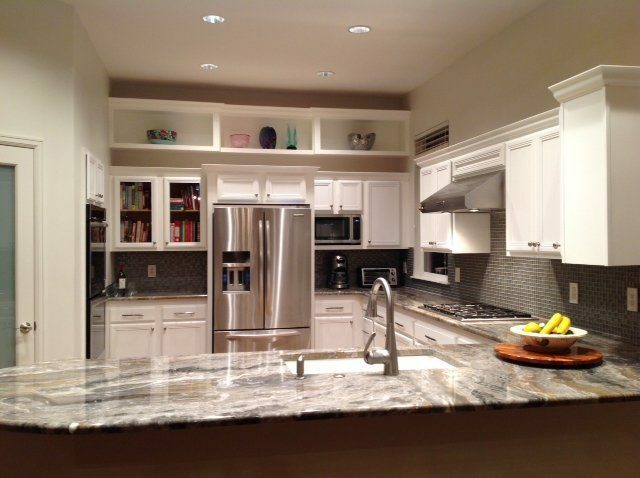 In addition to the other Main Floor spaces remodeled (Master Bath, Master Walk-In Closet; Office and Guest Room), 1,500 sq. ft. of new build out space will be constructed with walk-out ground level access from the new finished basement and views/natural light provided by six windows and sliding glass door to hardscape/softscape patio with an ‘endless’ grass garden beyond. Here, a Guest Suite with 12’ long bathroom and His/Hers walk-in closets; another Office; adjacent 30’ long Family Room with built-in cabinetry containing a refrigerator, microwave, wine storage and counter space; 20’ long private storage area and 25’ long Game space, will comfortably round-out this luxury home.